‘Study in India’ programme: ‘Study in India’ Web Portal - Students across the world will now be able to pursue the education in prominent Indian Educational Institutions. In another ground breaking initiative of HRD Ministry launched the Study in India programme of HRD Ministry by launching the ‘Study in India’ portal (www.studyinindia.gov.in) at the India Habitat Centre in New Delhi. Study in India Programme Web Portal: www.studyinindia.gov.in. The quest for knowledge has always been fundamental to India’s culture and civilization. Throughout our history, India has made seminal contributions to human thought, philosophy and development. Our ancient philosophical concepts, such as Vasudeva Kuttumbakam and Sarva Dharma Sambhava, remain eternal. 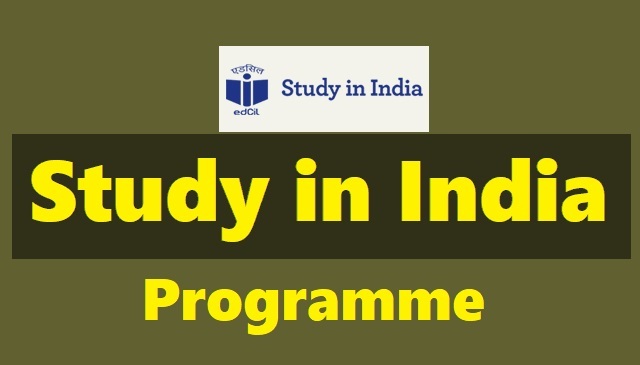 The "Study in India’ is an innovative initiative to attract students from our partner countries in South Asia, South-East Asia, Middle East and Africa to come and experience the very best of academic learning from the top institutions in India. This will be achieved through systematic brand-building, identifying quality institutions for receiving the students, creating suitable infrastructure and facilitation structures. The "Study in India Portal” will become a single window to cover all aspects relating to studying in India for foreign students. 'Study in India' initiative will open the gates of prominent educational institution of India for foreign students. To begin with the focus is on students of 30 Asian, African, Middle East and Commonwealth of Independent States (CIS) countries and hope that families from America will send their children to India for under graduate courses one day. India was the education hub of the world education with long heritage of Nalanda & Takshashila . Now, India is again surging ahead in education sector with more than 40,000 colleges & more than 800 universities. Top most colleges have been granted graded autonomy. Graded autonomy will help educational institutions to expand on their own; they can improve their programs, launch new programs as per the need. They can take in foreign faculty & foreign students. Because of the recent reforms in education sector, now India has become a prominent center for affordable and quality education. India believes in the theory of ‘Vashudhaiva Kutumbkam with the rich history of educational institutions like Takshashila and Nalanda. With the integration of e-SANAD and NAD – National Academic Depository, the education system in India is now more transparent. For the first time, prominent Indian Educational Institutions have been opened up under this programme which will be of benefit not only to the foreign students but also to India. India is a place of wisdom and believes in knowledge without borders. This year 15, 000 seats have been offered by 160 Institutions under the programme. The Study in India programme would provide one stop solution through the creation of a centralised portal www.studyinindia.gov.in. The website will be supported by an App and a Helpline number. The website will not only provide information on the latest offerings on Indian education but also facilitate admissions to the foreign students and help them make informed choices based on individual aptitudes and career goals. The expenditure on the fee waiver will have to be borne by the Institute concerned, based on cross-subsidisation or through its existing funding. No additional cash flow from Government is proposed for the same. The ‘Study in India’ programme’s primary objective is to target foreign students by branding India as an attractive education destination. As per the existing Government framework, provision of 10-15% supernumerary seats for foreign students is there. ‘Study in India’ programme would target the foreign students to be admitted as per this provision, which would not have any adverse impact on the number of seats/ admission of Indian students. The Government has approved an expenditure of Rs. 150 crores for the ‘Study in India’ programme for two years 2018-19 and 2019-20 which will be primarily for brand promotion activities. As the inflow of foreign students depends on various factors viz. individual will and choice, Visa issues etc., estimation about future inflow of foreign students is not possible. This information was given by the Minister of State (HRD).